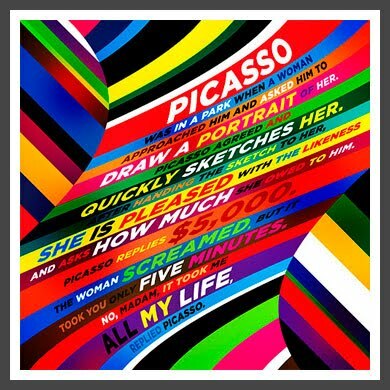 I leave you this Friday afternoon with this cool 'designed' Picasso quote. Gotta love it! Happy Weekend.